Endlessly calling CQ during a contest or special call activation can give you a sore throat. Voice keyers were invented for this particular matter. A voice keyer is even built in in the IC-7300, so at first there is no need for an external device. 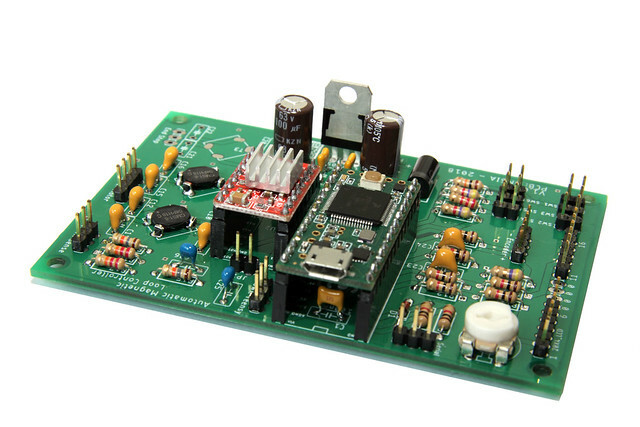 This voice keyer has 8 presets and can be used as a keyer for voice, CW or RTTY. The only drawback is that this keyer is only accessible when the voice keyer option is visible on the display. 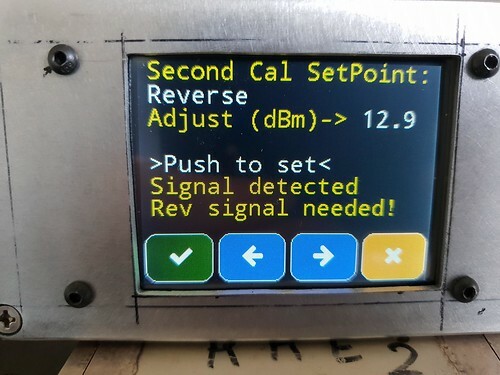 And at that time you can’t see any other screen that might me more of an interest to you than the voice keyer buttons such as a largere scope, the audio in- and output and your meters (SWR, ALC, COMP and I). An external keyboard would be of great help. 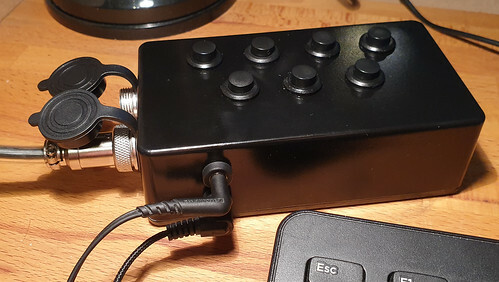 Strange enough this external keyboard is not provided by Icom, you are forced to buy an aftermarket device, or… build it yourself. The schematics for this are made available by Icom in their manual on page 12-2. A prerequisit for me was that I could still use the original mic when the keyboard was attached, and that when I don’t use the original mic, I still have the same capabilities as if I’m using the original mic. So both schematics need to be combined. Except for the resistors all I needed was bought on AliExpress. 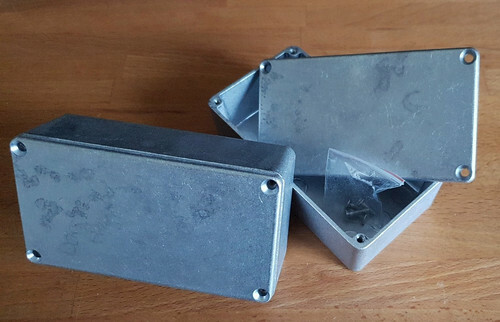 For the enclosure I choose for a aluminum box measuring 122(W) x 66.5(H) x 39.5(L)mm. 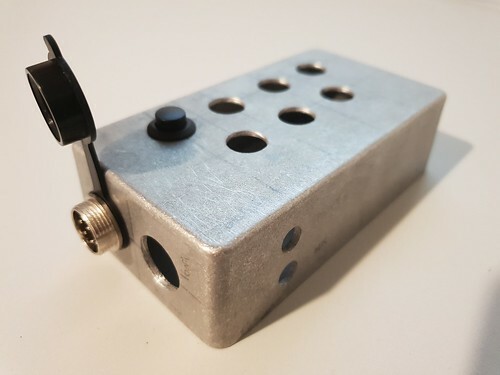 Guitar enthousiast use these enclosures to make so call stomp boxes or effects units. Manufacturer Hammond brought an enclosure with these dimension to the market as model 125B/1590N1. If you search on AliExpress with these model numbers, you get some options to choose from. You can choose whatever momentary switch you like for this project. I went for black plastic 12 mm momentary push-buttons. Icom uses a 8-pin microphone connector. 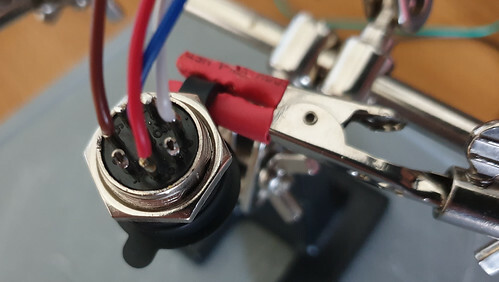 These GX16 connectors, sometimes also referred to as circular aviation socket plug, can be found in abundance on AliExpress. Search for GX16 8 male female because we want two male sockets and 2 female sockets. 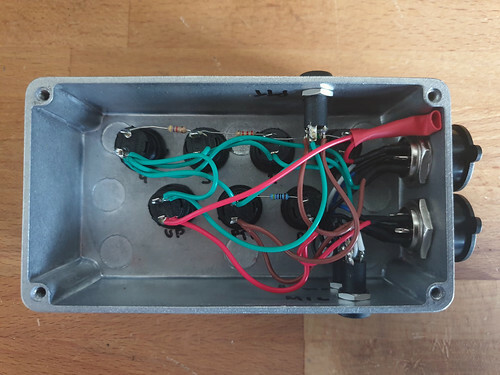 The male sockets are to be place on the enclosure, the female sockets are needed to build the cable to connect the external keyboard to the radio. Finding a suitable cable that has sufficient inner strands, is not to thick and looks good was not so easy. Mini din 8 pin extension cables can be found easily, but they do often come in an ugly beige color. As we only need 6 inner strands, I figured out a mini din 6 pin cable would do the trick as well. 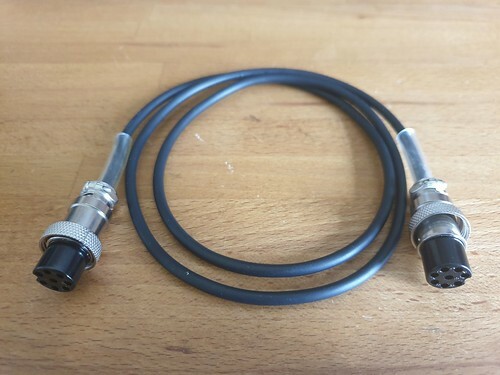 I still had 1 meter of this cable in my stock as I once used it to build a data interface for my trusty Yaesu FT857-D.
We need one 470 Ohm, one 4,7k Ohm, one 2,2k Ohm and two 1,5k Ohm resistors. All 5% and 1/4 Watt. When looking for audio jack sockets, look for those with a screw on the inside of the enclosure. Not only do they look better, I also have the impression the quality is a bit better. On the top of the box 7 holes needed to be drilled. 4 on the top row, 3 on the bottom row. Each hole has to be 12mm. On the left two 20mm holes are drilled for the GX16 connectors and on the front 2 7mm holes were made for the 3.5mm stereo jacks. 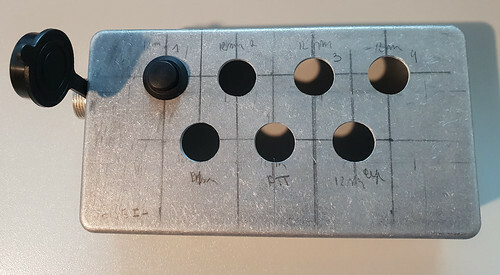 On the back, another 7mm hole was drilled for the 3.5mm jack that will be used to connect a foot-pedal for handsfree PTT operation. Once all holes are drilled and all components are test fitted, you can start sanding the box and give it some layers of spray paint. First make sure you solder long ends of wire to the GX16 connectors. It would be a real challenge to solder them when they are already mounted in the enclosure. I opened the original Icom MH-219 to know what color code they use and tried to use the same as much as possible. Now fix a connection cable with two female GX16-8 connectors, using a SP/2 extension cable and some clear tubing as stress relief. 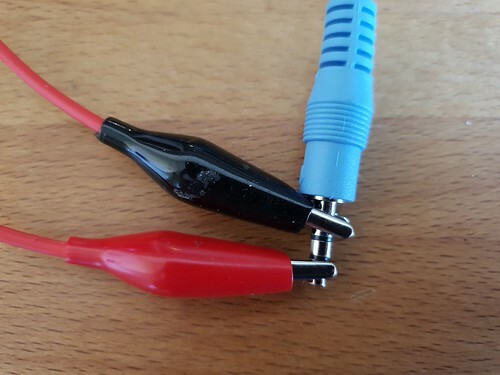 The color scheme of this cable is different from that of Icom, but as long as you connect each wire to the same pin on the opposite side of the cable, you’re good to go. In this picture, the original mic and the foot pedal are not connected. I’m using an in-ear Sennheiser and a 1€ condenser boom mic from AliExpress. Maybe not the “best” solution, but for the moment good enough. 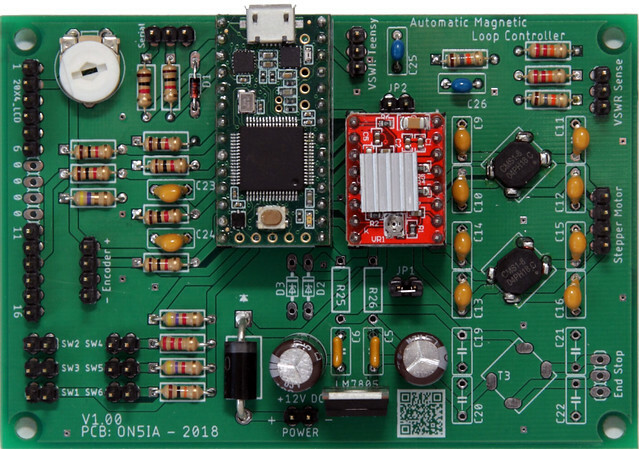 I will put this keyer to the test during the March 2019 CQ WPX contest. Hope to meet you on the band! You might have noticed it: I’m a big fan of Loftur’s projects. 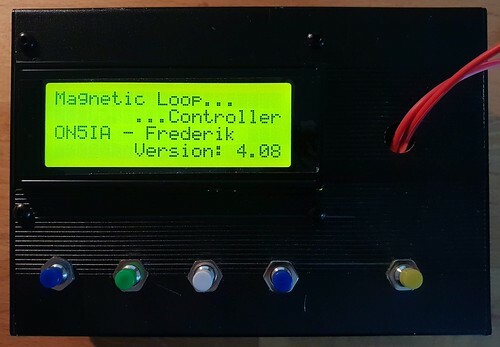 I’ve already described his Automatic Magnetic Loop Tuner in detail and now I will show you what functionality I added to his Power and SWR Meter. If know the exact forward coupling attenuation and the exact reversed coupling attenuation of the directional coupler you are using. 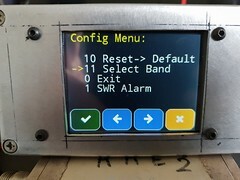 If you have access to a signal generator and want one power and SWR meter calibrated for multiple bands… this little change of code is made for you! 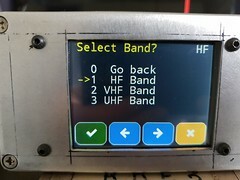 The easiest part of changing this code was to implement an extra menu so you could select the desired band for which you want to use the meter. All values are stored in memory and will overwrite the initial values as defined in Loftur’s code. This way I had little to change in the calculation formulas coded by Loftur. 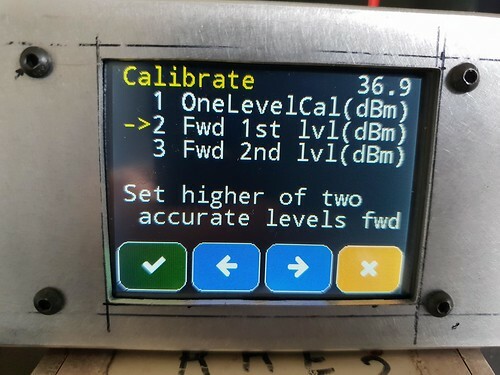 No changes were done to the “One Level Calibration” so it’s still usable for (most) OM’s without a signal generator. New here is that you can enter both the higher and lower level for both Forward and Reverse power. 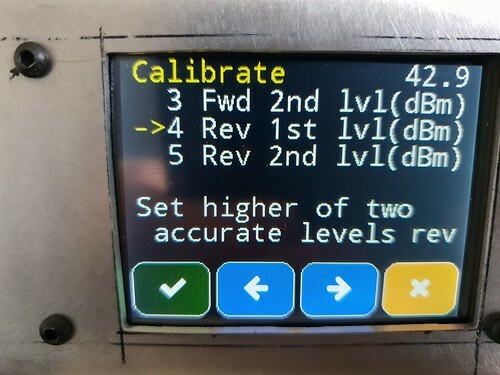 And save the adjusted calibration values. Now, most important: the code. 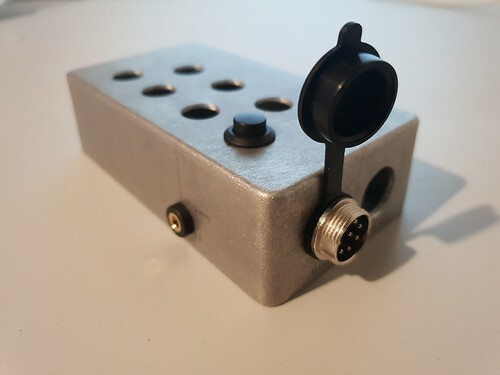 Funny little project to train your morse code sending capabilities. Let’s connect a morse key to a pc and turn it into a keyboard. 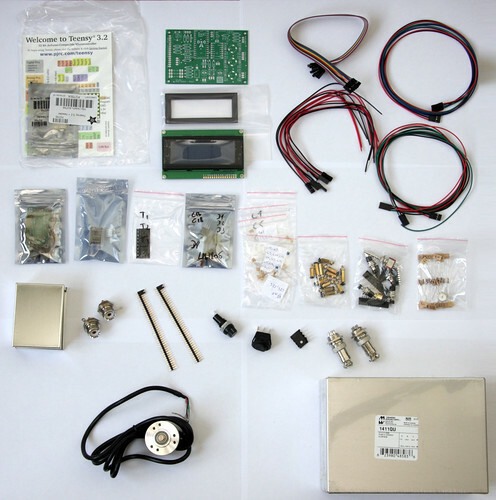 To do this, you’ll need: a Teensy 3.2, a morse key, two jumper cables and 15 minutes of your time. 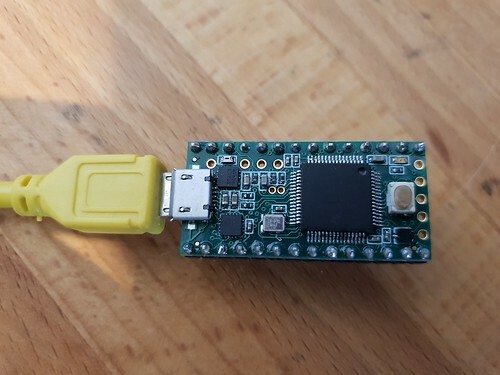 First you have to program the Teensy 3.2. To do this you need to download the source code from https://github.com/nomblr/morse/. It’s a project of Nomblr, who posted it on imgur in 2017. It has been in my favorites for more than a year before I finally took the time to play with it. if you can’t download the code, just copy it from the browser and past it in Arduino. 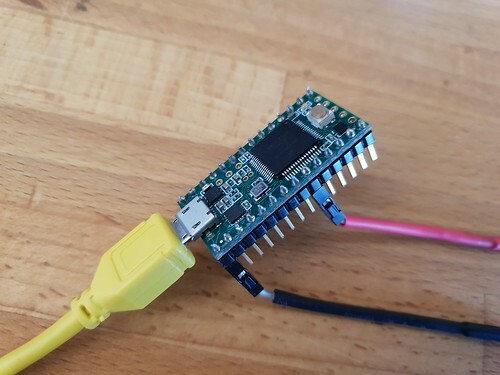 Connect the Teensy to your PC via USB. 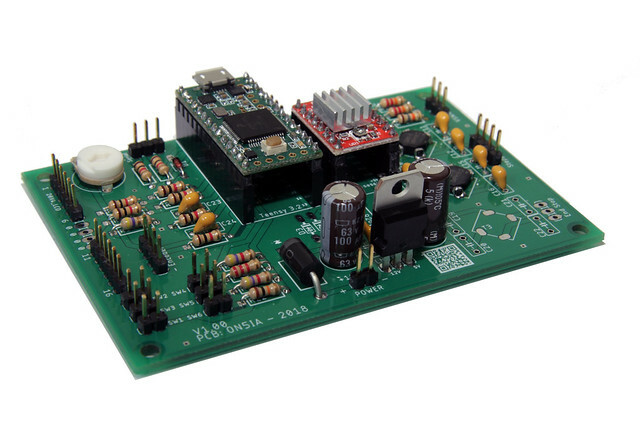 In Arduino you’ll need the following “board settings”. You can find these in the menu Tools (or “Hulpmiddelen” in Dutch). and select the correct com-port for your Teensy 3.2. 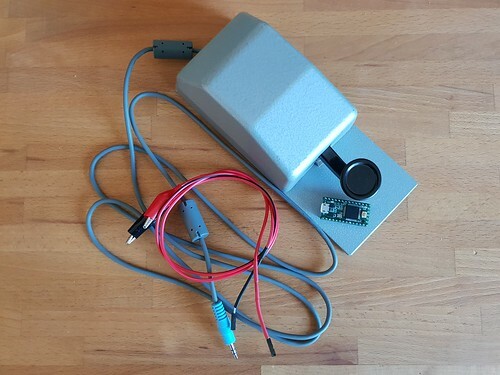 Verify and upload the code to the Teensy. Then connect crocodile clip of the black jumper wire to the ring of the morse key, and the red one to the tip. When done, you can start keying and watch the letters appear on your screen. People using a AZERTY keyboard have to switch their PC input settings to QWERTY. If you are using Windows you can do this by pressing “Shift + Alt” (do it again to switch back to AZERTY). This is probably because we choose for the “US English” keyboard layout, but all other keyboard layouts of the Teensy gave the same result. *This blogpost may or may not have been written using this USB Morse Key Keyboard input method. Because sometimes things get removed from gitHub, I made a copy of the code which you can find below. 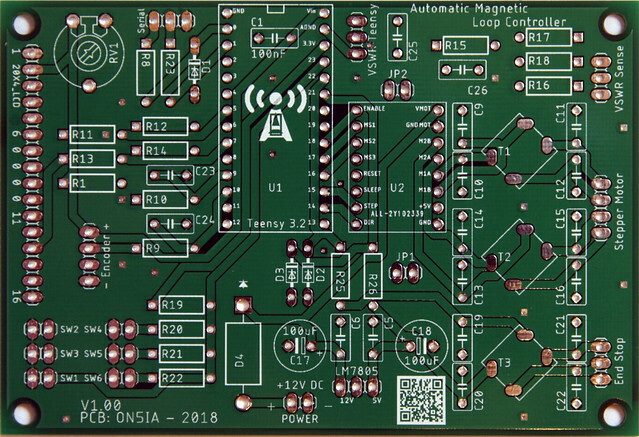 There are about 10 working days between finishing the PCB design in Eagle and the reception of the finished product at my doorstep. 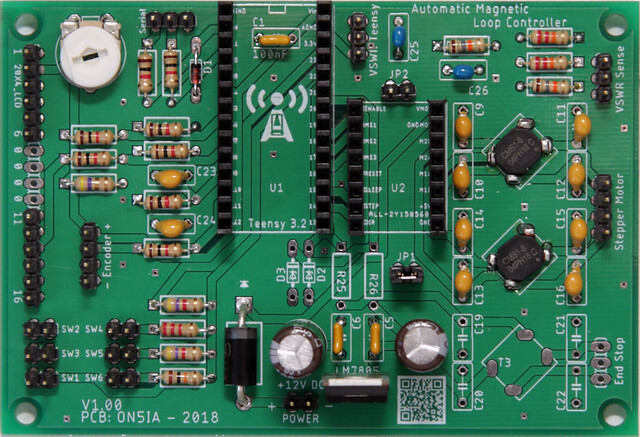 I have always wondered how the Sontheimer bridge PCB and the A4988 PCB were manufactured.